That well known question that came from the lips of Pontius Pilate, in his attempt to shirk responsibility during that mock trial of Jesus, nearly 2000 years ago, portrays a prevailing attitude found today, as 'truth' is being conveyed as a 'relative thing', as according to one's own thought perception or feelings, or even as an elusive concept expressed in the question,'Who knows'? However, to the Christian, 'truth' is everything. It is to be sought after, revered, protected, and upheld, because it comes from God's word, the Bible, and is cherished as absolute and unchanging. The religious group known worldwide as Jehovah's Witnesses likewise claims to be Christian and that God's truth is absolute and unchanging and claims to revere it as more precious than anything else. 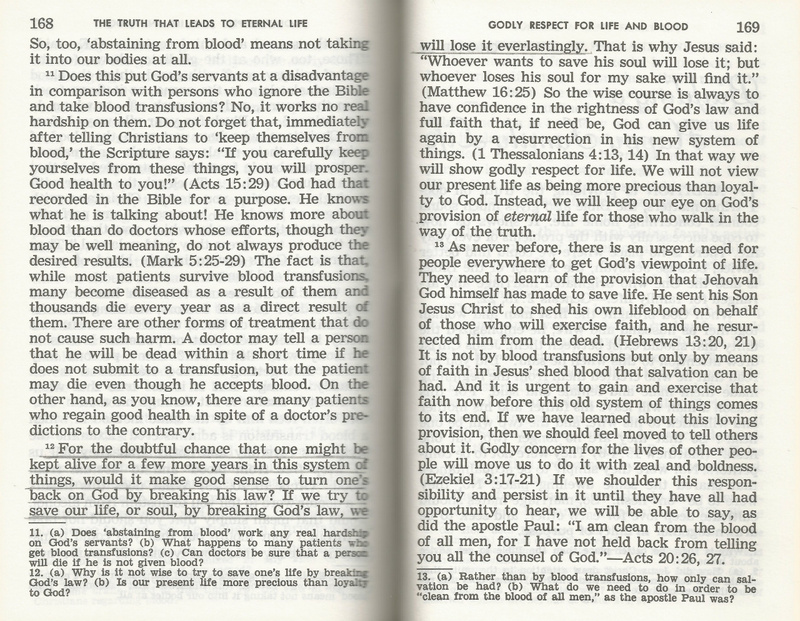 Every Jehovah's Witness is taught, that to receive a blood transfusion is a violation of God's wonderful truth. Did you know that within the past twenty years, in Bulgaria, this 'so called' politicly neutral organization which governs Jehovah's Witness members has seriously compromised its strong stand against blood transfusions? Did you know that this was done in order to receive acceptance from the Bulgarian government to practice its controversial brand of religion within that country's borders? (Christian Association Jehovah's Witnesses -vs- Bulgaria) The case concerned the refusal to re-register the applicant association pursuant to a 1994 law, and the alleged suppression its activities and those of its members. In settlement, the Government agreed to introduce legislation as soon as possible to provide for civilian service for conscientious objectors, as an alternative to military service and to register the applicant association as a religion. The applicant undertook with regard to its stance on blood transfusions, to draft a statement for inclusion in its statutes, providing that members should have a free choice in the matter for themselves and their children without any control or sanction on the part of the association. Were you aware of this news? This means that while Jehovah's Witnesses in North America risk being cast out of their religion, which in no uncertain terms means to be cut off from Jehovah God, the Witnesses in Bulgaria can exercise free choice in the matter of blood transfusions (assuming the Watch Tower keeps its word and abides by the agreement they made with the Bulgarian Government). Do you think that the Watch Tower organization is showing reverence for what it claims to be divine truth from an unchanging God? I am not a Jehovah's Witness, nor do I believe that refusing a blood transfusion is a requirement that God puts on anyone. Moreover, I do not believe that the Bible, read in context, supports such an extreme view. However, I do believe that many people have died; refusing blood; upholding what they have been told is the absolute truth, by a religion that seems to view 'truth' as very changeable, when it suits its purposes. 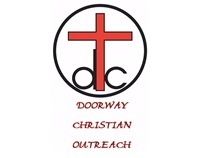 We at Doorway Christian Outreach are individuals from various Christian backgrounds united in agreement on the essential beliefs of the Christian faith (1 Cor. 12:14). We want to encourage you in this truth. Salvation does not come through any organization or denomination. The wages of sin is death, but eternal life is a gift from God. (Rom. 6:23) In addition, the apostle Paul shares another life settling truth in Ephesians Chapter 2, speaking to all the believers, which assures us that we have been saved by undeserved kindness, through faith in Jesus, and not by even one good thing that we may have done, because it is the gift of God, just as it should be. Most importantly, let it be declared that it was with great joy that our Lord Jesus gave His blood (His sinless life) in payment for the removal or cleansing of all our sins. (Heb. 12:2; Rev. 1:5) He did not later change the meaning of the significance of His words and actions. Jesus Himself uttered these words, "It is finished!" and we gladly receive the blessings of His finished work. We hope that you will too!